During the colonial era, Ipoh was one of the few earlier town connected by rail in Malaysia. 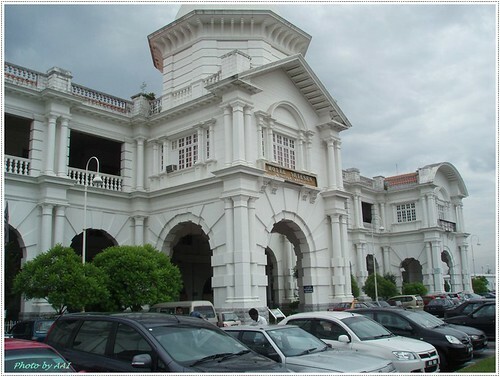 Over the decades the rail service had served Ipoh to transport its valuable tin produce to the ports for exports and provided the transport for the residents of Ipoh to other major towns such as Kuala Lumpur and Butterworth. However, the last few decades as seen the PLUS highway overtaking the role of rail as the main form of transportation due to a boom in car ownerships. 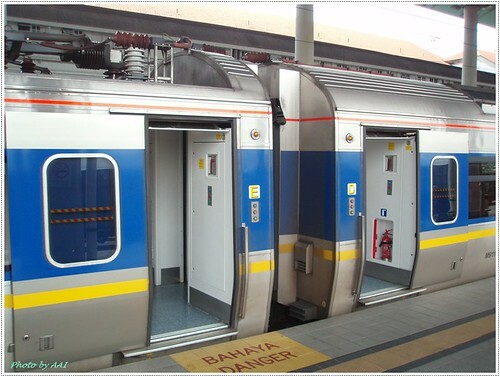 Now with the introduction electric double tracking from Kuala Lumpur (KL) to Ipoh, KTM Berhad, the operator of rail in Malaysia has brought the intercity electric train service (ETS) to Ipoh. This service now allow Ipoh residents to travel to Kuala Lumpur in approximately 2 hours which is faster than travelling by car along the PLUS highway. The convenience to this service to travel to and fro KL in approx. 2 hours is indeed a much welcomed improvement to the life of Ipohans. Not only will more day travellers be visiting Ipoh for a short weekend trips, Ipoh residents can now look forward to a shopping trip in KL. ETS which I believe stand for Electric Train Service is a special division of KTM in charge of providing this fast and comfortable intercity rail service. Recently, I had the opportunity to try out myself this service for a business trip to KL. Such that I would like to share my experience on my ride down to KL and back to Ipoh. 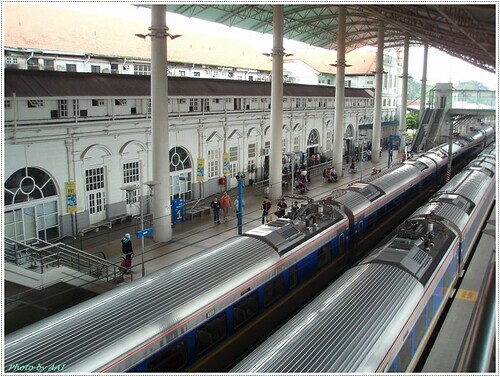 Our magnificent Train Station in Ipoh lies as a testament to the grandeur of train service in the colonial era. My journey started off at this landmark building in Ipoh. The sleek and modern electric train graced the platform awaiting passengers to board and send its passengers to their destinations. I was lucky enough to capture this sight of 2 electric train waiting side by side. Nice and impressive sight, right. Minutes later one of the train later made its way off to its next destination. The open doors of the train carriages awaits the boarding passengers. The trains actually has up to 6 carriages connected and based on my rough estimation, it could carry close to 260 passengers in one trip. 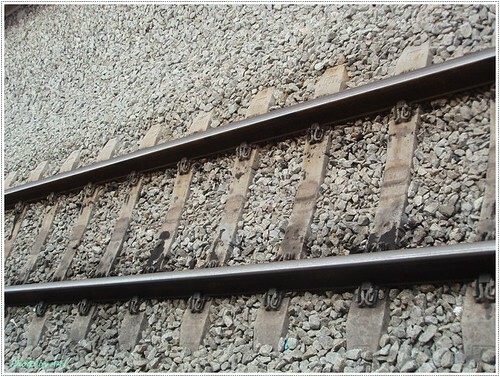 This train station has since been expanded to incorporate double tracking railway and also the infrastructure upgraded to cater to this ultra modern image. The electric trains also boast having these yellow-shirt stewards and stewardess waiting to guide the passengers to their respective train carriages. 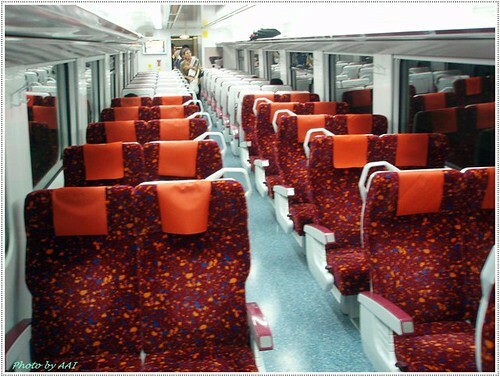 Inside the carriages, it was really spacious, neat and clean. Let's hope that ETS maintains a spick and span condition of the trains. The seats were arranged facing 2 opposing directions. Leg space is quite adequate even for a tall person like me. 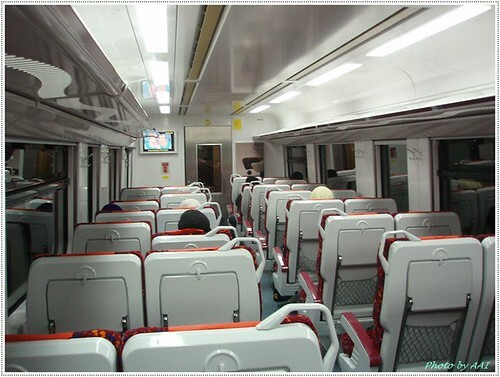 Inside the train carriages, it was equipped with upper luggage deck, 2 LCD TV, foldable table on the rear of the seats, pull down window curtain and even power socket under the seats for charging your laptops. If only they provide WIFI, then it would have been great. Once the train started moving, it quickly pick up speed to cruise around 130-140 km/h. 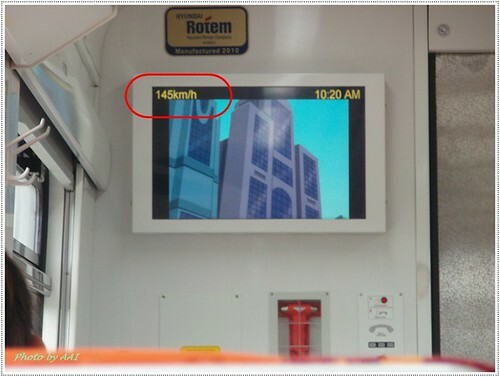 On a few occasions, the max speed of 145 km/h was seen on the LCD screen on the wall of the carriage. The ride was definitely very comfortable with minimal swaying and screeching sound of the wheels. Air conditioning was also nicely tuned being not too cold or warm. The benefit of railway travel over bus and was that you can walk around the train if you feel bored being stuffed down in your seat. 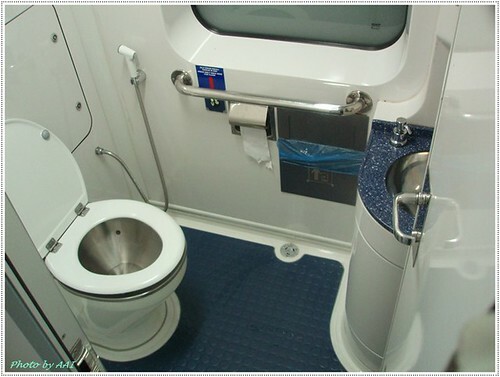 Furthermore, toilets were also available if urgent need arises. Most importantly, the toilets were clean. Indeed a rare sight. Kudos to the maintenance staff of the ETS. 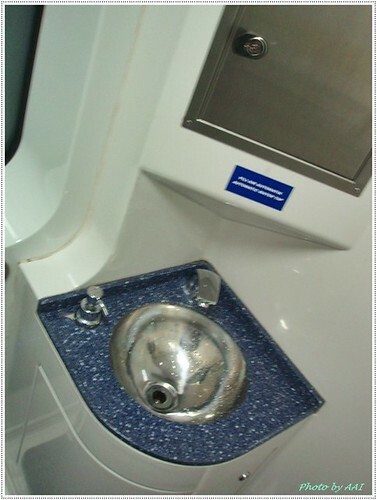 The washing basins of the toilet. 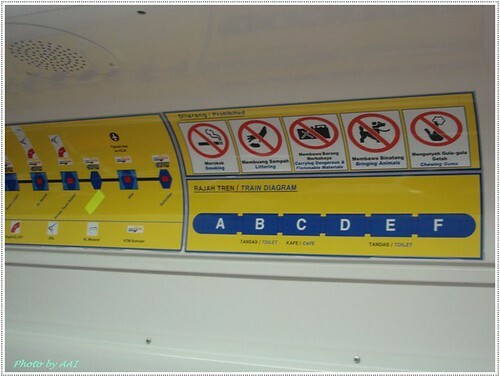 A route map of the ETS is displayed in each carriage and an announcement in English and Malay of the approaching station was also made. 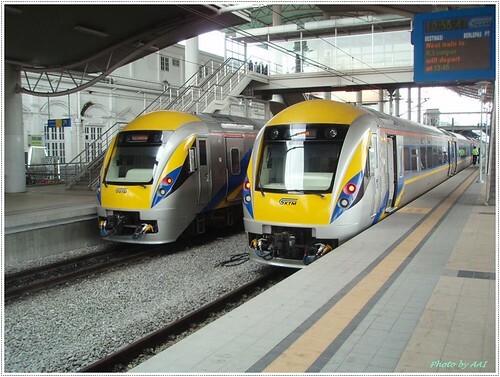 Currently, the fastest ETS stops at a total of 5 stations from Ipoh being Batu Gajah, Kampar, Tg Malim, Kuala Lumpur Old Station and finally KL Sentral. 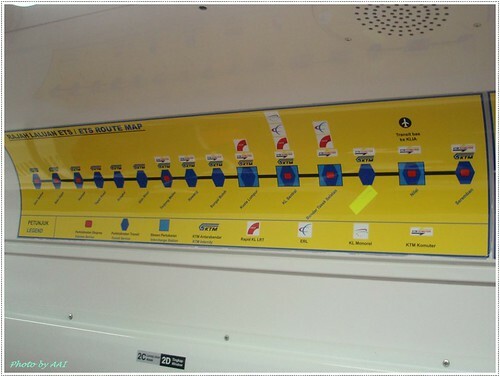 The route map also displays the other rail interchange available such as ERL, KTM, RapidKL LRT or Monorail at which station. One can easily hop on the ETS and travel to the KLIA International Airport or various places throughout Kuala Lumpur & Klang Valley. The information board also warns passengers against smoking, littering, carrying flammable materials, bringing animals on board and chewing gums. Passengers taking the ETS from KL Sentral may rest in this air conditioned ticketing lounge while waiting for their train's arrival. 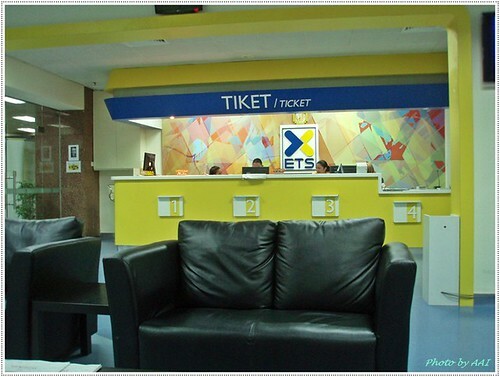 One thing to note for those who wish to take ETS from KL Sentral to Ipoh, is that the ticketing counter is located quite hidden from the path to the entrance of the ETS platform. So better go earlier to buy your ticket. Due to this being my first trip, I actually missed my 6:30am ETS back to Ipoh due to being unable to locate the counter to purchase the tickets. Furthermore, the KL Sentral lacks the signage to lead travellers to the ticket counters. (p/s: If any ETS management personnel sees this blog, please improve the signage) Yours truly had to run up and down the different floors looking for the counter. Haiihh!!! As a result, I had to wait another 2 hours for the next train. 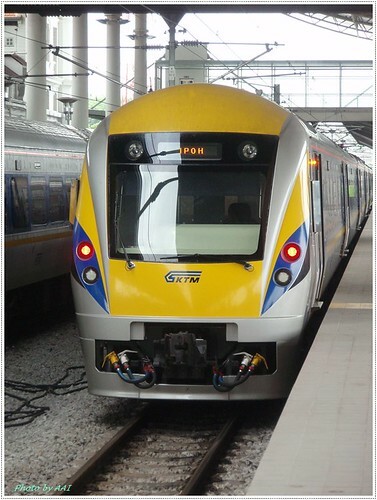 Another picture of the ETS train on the platform in KL Sentral. 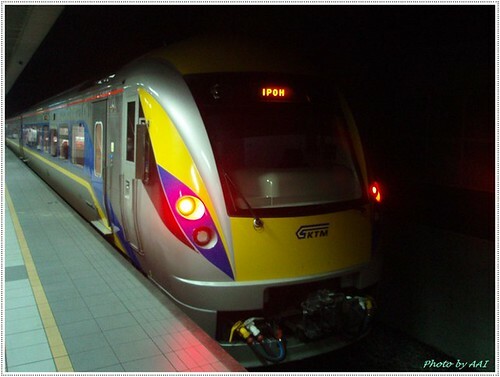 The earlier ETS train from Ipoh starts from 4:00 am and 5:30 am. 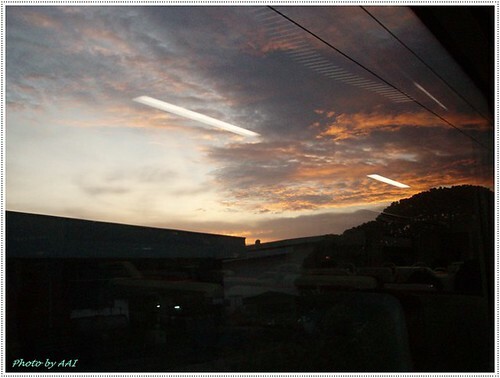 If your take the 5:30 am train, you will get to see the morning sunrise as you approach Rawang . A last pic of the ETS train after arriving safely back in Ipoh. All in all, it was an enjoyable and comfortable trip despite the minor setbacks. I would definitely recommend this mode of transport for travellers to and from Ipoh. One recommendation for them is they should increase the frequencies of the trains. 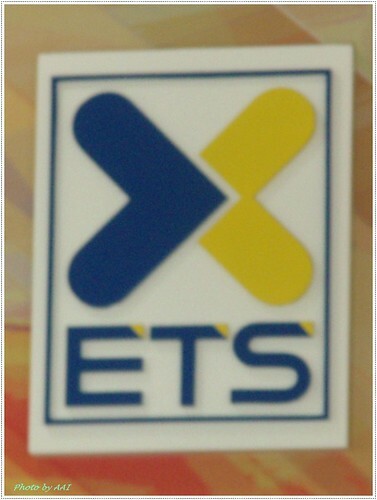 Of course, we as Ipoh residents need to support the ETS from them to make it feasible. Currently, the passenger load is not quite as high as I observed as only 30% of the seats were taken up during the weekday early morning trips. One way trip now cost RM30/- from Ipoh to KL. Perhaps a bit more expensive than a bus ride but still quality of the ride justifies the price. 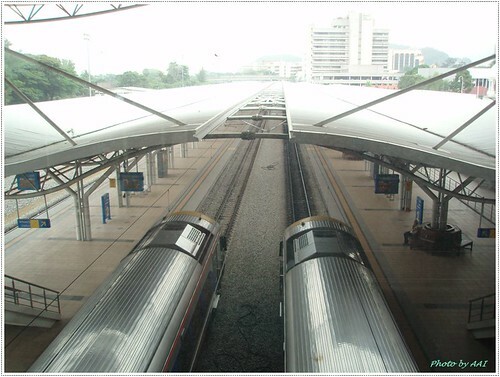 In future the electrified double tracking would extend to Butterworth and Padang Besar which is up north of this train station. With Ipoh connected to KL and Penang in a couple of years' time, more development will definately flow into Ipoh. wah.. nice info.. should try it to ipoh someday.. Try it few times. ETS is really a great mode of transport to have! i expect it will help revitalise Ipoh's economy. I've read some just right stuff here. Definitely value bookmarking for revisiting. I surprise how a lot effort you set to make such a wonderful informative web site. I need a specialist in this area to unravel my problem. Maybe that's you! Looking forward to see you. .I'm attempting to in finding issues to improve my website!I suppose its good enough to use a few of your ideas!! earrings, earstuds, locket, rings, bangle, hair & trinket add-ons. you are however certainly you're going to a well-known blogger in case you aren't already. actually loved the usual info an individual supply in your guests? back soon. Please check out my web site too and tell me what you think. of clever work and exposure! Keep up the good works guys I've incorporated you guys to blogroll. I'm curious to find out what blog system you happen to be using? I'm having some small security problems with my latest website and I'd like to find something more secure. Do you have any solutions? Merci aux études assorties documentant les algues modifié robinet présent dans l'eau, l'homme accepter réelle Devenir connaissance de l'ameublement indésirables robinetterie baignoire robinet baptise l'application peut avoir. Le baptiser qui traverse le robinet est riche d'effets indésirables capacité des colocataires mitigeur cascade peut abuser de votre santé, les vêtements et les appareils. Même avec les précautions acceptés ajoutés à l'eau de l'arrondissement, il robinet led pourrait ne pas être aussi tarte aux pommes que vous étiez amené à croire à venir. so the white colour buiding is Ipoh ets station ?